These are the comfortable (and affordable!) 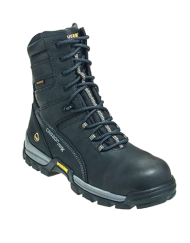 choice of shoes, for the person who is always on their feet. 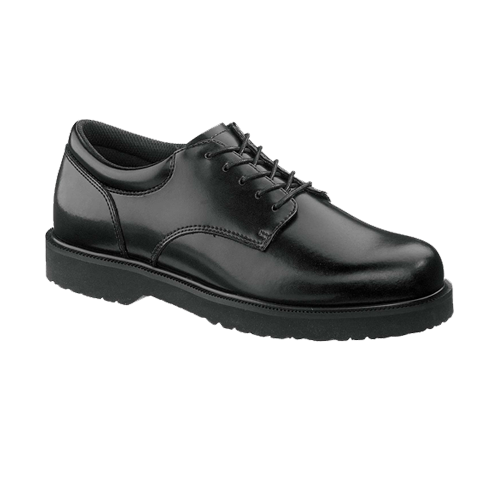 The Bates oxford is ideal for police, post office workers and military personnel who need to look professional and dressed up. 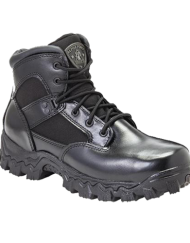 This Bates Enforcer Series Hi-shine uniform oxford is at home on the beat and at your post. 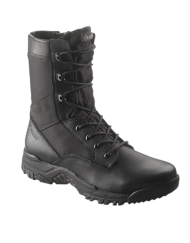 A full grain high gloss shine leather upper and a lightweight cushion rubber outsole keep you ready for action. 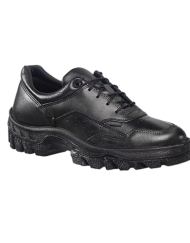 The removable full cushion footbed has performance fabric lining for comfort and breathability.